If you are on Goodreads, you can enter for a chance to win the complete 2-volume paperback set of H.D. Woodard's Wearing the Cat. Here's the link to the Goodreads Giveaway. 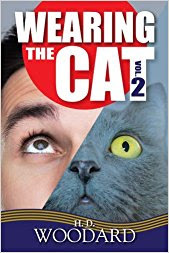 If you want to check out the books on Amazon, here's the links to Wearing the Cat: The Complete Novel - Volume One and Wearing the Cat: The Complete Novel - Volume Two. Set in 1988, with America near the height of her power, prestige, and influence, “Wearing the Cat” concerns the exuberant and blackly comic misadventures of Lt. Nick McGill, dentist in the United States Navy Dental Corps. In “Wearing the Cat”, Lt Nick McGill feels that his life has gone wrong. He joined the Navy as a way to add excitement to his life only to discover a distinct lack of wine, women, and adventure in the day to day drill and fill of the Williamsville Naval Dental Clinic. Tooth decay? Oh, yeah. Plenty of that. Bad breath? Goes with the territory. The three little words? If only he didn’t have to hear those three little words ever again. Worst of all, in his boredom and loneliness, McGill finds himself questioning past decisions, and feeling nostalgic about past girlfriends. Perhaps all he needs to do is to get laid. Once again, you can enter to win both volumes in this Goodreads Giveaway starting today until July 4th. 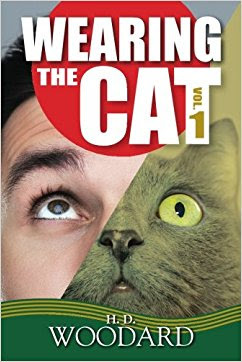 The Kindle versions of Wearing the Cat are free for Kindle Unlimited subscribers. If you want to see if subscribing is right for you, can get a Kindle Unlimited 30-Day Free Trial.